Get Your High Performace FitPro 24h Heart Rate Smartwatch! 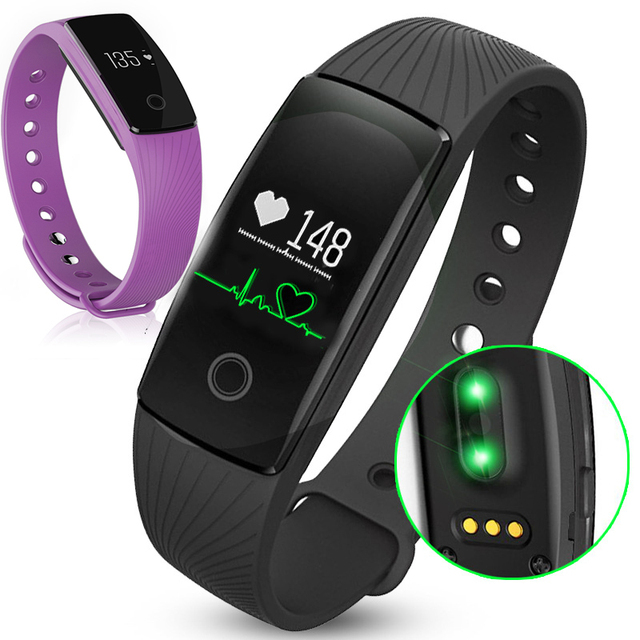 Fitness Monitor: Green LED lights (OSRAM lights) and sensitive photo-diode to monitor the flow of blood through user's wrist every single moment. *When user's heart beats, there will be more blood run through user's wrist, the green light absorption will increase. *Under the interval of heart beats, less blood run through user's wrist, thus the green light absorption decrease. Track daily activities data such as steps, distance, calories burnt, help you reach daily fitness goal ! Sleep + Clock: Auto recognizes sleep status, track your sleep hours and sleep quality, wake you up with a smart vibration alarm. App: VeryFit 2.0 connects via Bluetooth with your phone. GET your 24h Heart Rate Smart Band !!! Functions: Pedometer, Fitness monitor, Sleep Tracker, Message Reminder, Call Reminder, Remote Control Camera, Calorie burnt, Distance track, Sleep monitor, Anti-lost. "Cool device! Lots of neat features. Love the silent alarm and the fact that I can see activity stats on screen without needing to look at the phone.